As a former player of the Woodbridge Strikers, I thought it was an exciting opportunity that my first writing assignment would be covering this match. 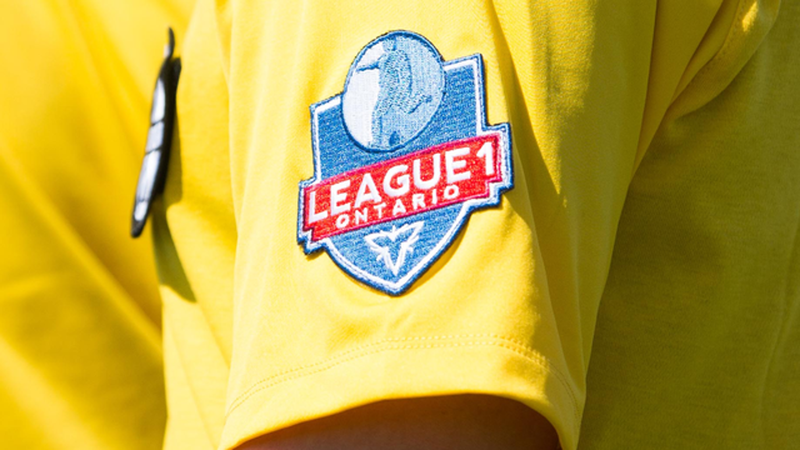 Having played at almost all levels of soccer in Ontario, from OSL to OUA to League1 Ontario, I know first-hand what kind of challenges these athletes go through to play at this level. My personal experiences give me a unique perspective as a commentator, having been able to combine my passion for football and writing. Before the match even began, both teams faced a psychological distraction due to a thirty minute delay; the game was moved from the Vaughan Grove grass field to the turf, due to faded lines. Fortunately for the Strikers, they could find solace in knowing they were playing on the field they actually practice on. The game started off with a low pressure approach from Durham, allowing the Strikers' backline and defensive midfielders to swing the ball back and forth. However, the first decent chance of the game fell to Durham’s lively right winger, Martino Dumevski, as he hit a low drive from outside the eighteen, just inches wide of the post. Durham found success building their attacks from the right flank but lacked a cutting edge once they found themselves in the Strikers' defensive third. In the twenty-fifth minute, the Strikers' high pressure approach would pay dividends as they forced Durham to cough up possession. The fumbled ball fell right into Cordon’s path, prompting him to outmaneuver goalkeeper Benjamin Cowman for the calm finish. After going up 1-0, momentum shifted in favor of Woodbridge. Right before the first half whistle, Mario Kovacevic demonstrated sublime footwork, weaving through Durham’s defense and unselfishly squaring the ball to Christian Cavallini for the easy tap in. The second half began with a bang, as Durham’s #7, Shaquille Agard, punished a casual Woodbridge defence with a powerful low driven shot. Strangely enough, the game never came to life again after this point. Strikers managed to keep solid defensive shape for the remainder of the game, while Durham never looked particularly dangerous in the opposition's half; ultimately, the experience of the Strikers backline proved to be decisive. Perhaps what helped Woodbridge stay defensively disciplined was the substitution of Kovacevic, an attack-minded player, for the more conservative Gabriel Sosa. This middle-of-the-pack battle came down to Woodbridge simply being more efficient than Durham. Although the Strikers did not keep possession as well, they capitalized on Durham’s inability to be productive in the final third. The result of this match means that Woodbridge Strikers remain in fifth place, only one point behind Sigma, and Durham dropped to seventh place.